We have discussed my love of Emily Dickinson. Is using Emily for a child’s middle name overkill? 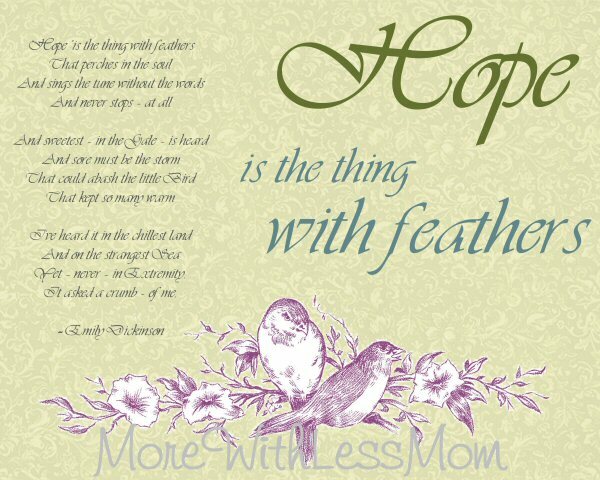 “Hope” has been my favorite Emily Dickinson poem for years and years. 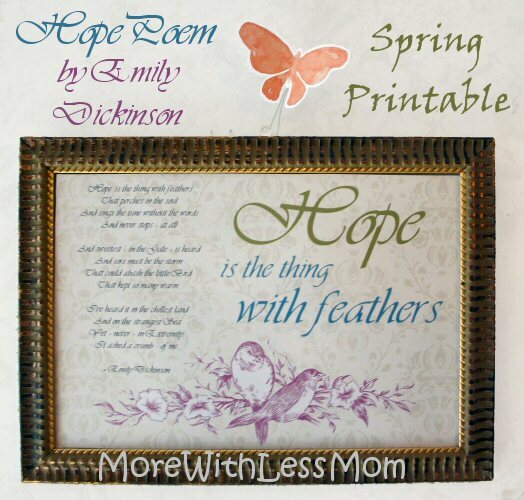 I decided to create a printable for my spring decorations, and I will share it here. It has a subdued color palette, cute little birds, and a vintage-looking wallpapery background.